A megawatt smile radiates across Vivian Henrikson's face as her mom hands the 2-year-old a bowl of Cheerios. She's hungry after an intense physical therapy session. But when Leah Henrikson, her mother, puts the rest away Vivian's cheer darkens. She doesn't want the food to go away. "Mommy, I want the Cheerios," she said. 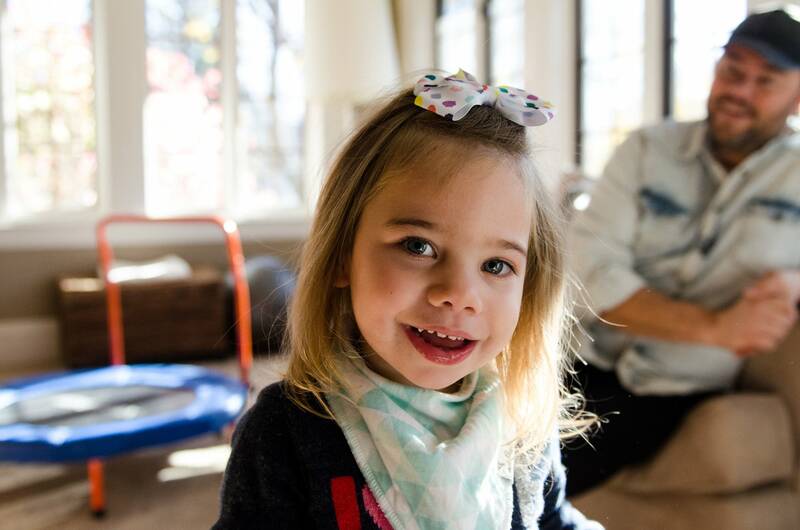 Like any toddler, Vivian is opinionated, curious and determined — in spite of several physical disabilities. Vivian was infected with cytomegalovirus in the womb. One ear is now completely deaf. She developed cerebal palsy, a neurological disorder that impairs muscle coordination. She needs to wear braces on her legs and has limited use of her left arm. None of Vivian's problems were apparent the day she was born. She looked and acted healthy. But she failed her newborn hearing test and dozens of tiny red spots dotted her skin. When the spots didn't clear after a day, Vivian's doctor became suspicious and asked the family to stay a bit longer in the hospital. "If he had not said, 'I just want to do one more test. I just want to check this out,' we would have went home," Leah Henrikson said. "We don't know how her outcome would have changed." The doctor suspected CMV. Vivian tested positive. He immediately put her on antiviral drugs. Leah Henrikson believes the medication helped Vivian avoid more devastating health complications. "We feel lucky," she said. "We got the right doctor, that asked the right questions, at the right time." CMV is transmitted by contact with fluids, and is generally a non-event, unless a women is infected during pregnancy, and passes the virus to her fetus. 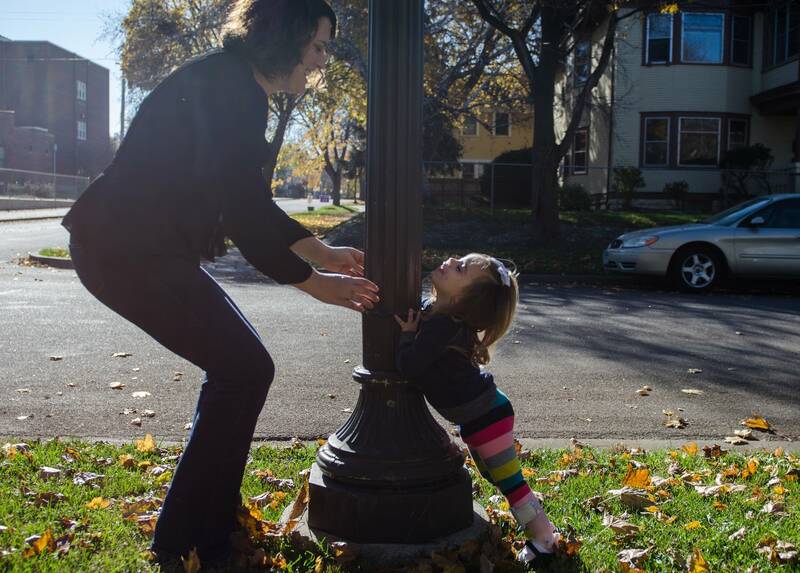 There are nearly 500 newborns infected with congenital CMV in Minnesota each year. Eighty percent will be completely unaffected. Ten percent will have symptoms that are evident and treated in the hospital. The remaining ten percent need treatment but don't get it. They go home without anyone knowing they're sick. Eventually they develop serious disabilities, most often hearing loss. Physician Mark Schleiss says some of those tragedies could be avoided by routinely testing babies at birth for CMV. "The goal of newborn screening for congenital CMV is really to find that subset of infants who are at risk to progress to hearing loss," he said. CMV can also cause vision loss, cognitive disabilities, and seizures. It's not known if antiviral medications can minimize those problems, but Schleiss says there is evidence that the drugs can prevent loss of hearing. He is leading a University of Minnesota study to determine the best method to test newborns for the virus. But he acknowledges that the screening idea raises an ethical dilemma. Eighty percent of babies that test positive for CMV will be fine. But it may be years before their families can relax. "Do you screen a population to identify an infection like CMV knowing that the outcome will commonly be just fine?" Schleiss asked. The Minnesota Department of Health is funding Schleiss' study through a federal grant. The department is proceeding cautiously and doesn't expect to decide on a policy for at least a couple of years. The agency wants to gather more information before deciding whether to screen newborns for CMV. If access to early treatment could help preserve hearing for 50 kids a year, that's not trivial, said Maggie Dreon, a genetic counselor at the department. "There weren't things to do about it before and now there might be," she said. "That's why it's worth looking into."